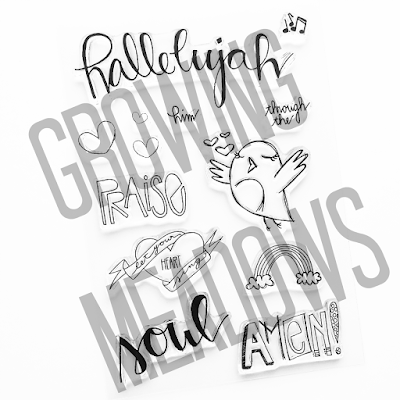 Growing Meadows: Praise Ye the Lord - Hallelujah! Time Lapse video! Praise Ye the Lord - Hallelujah! Time Lapse video! I made another fun time lapse for you today! I can't get enough of these. Another fun obsession I have right now is old Sunday School songs. I decided to add some lyrics to my Faith Journal. Praise ye the Lord - Hallelujah! So fun. I remember doing this at VBS. Stand up, sit down, sit down, stand up. Such fun memories! 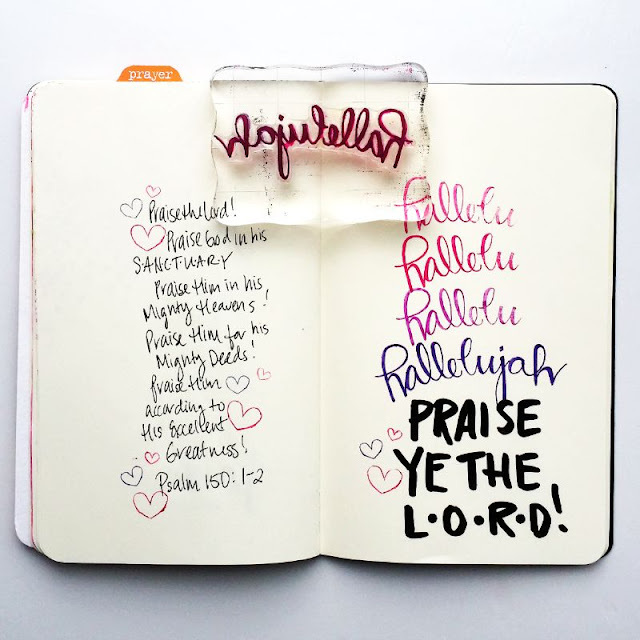 Here is the page I created with the Praise Him stamps in my shop. Below is a fun time lapse of me creating the page and down at the bottom of this post I have listed resources for you! Enjoy! I just ordered this set from your etsy shop. Can't wait to get it. Love this page! Love the video on your IG :) I'll check your store, too! Thanks for the inspiration!